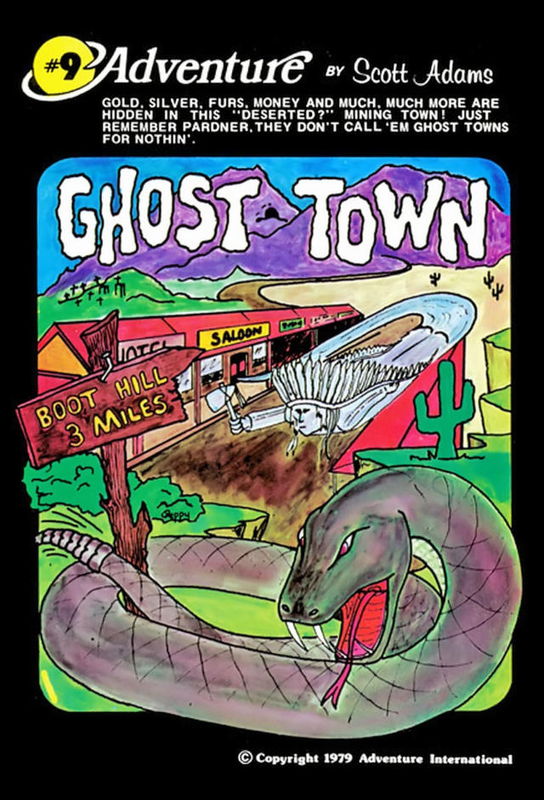 Ghost Town was released in 1981. 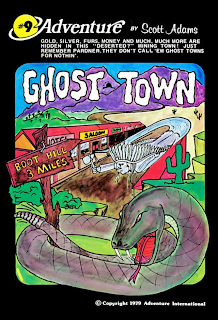 It the ninth adventure game by Adventure International. It was also released with static graphics as SAGA (Scott Adams Graphic Adventure) #9.